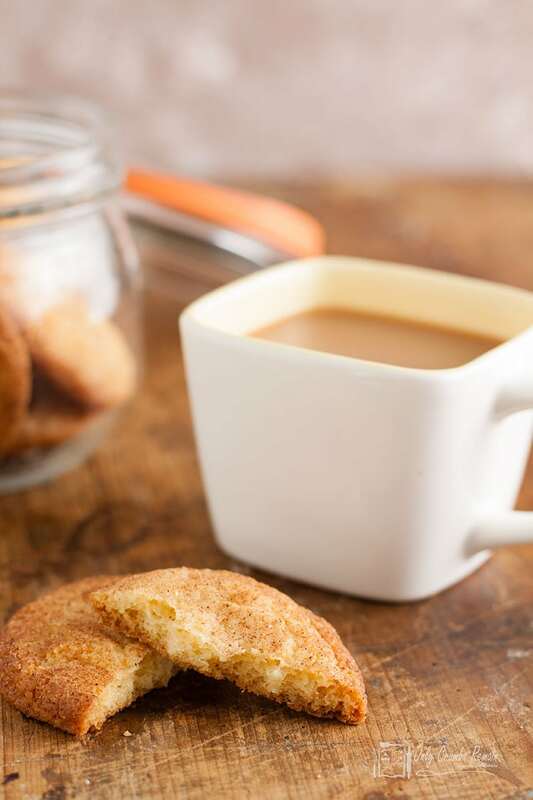 A classic American cookie, Snickerdoodles are easy to make biscuits coated in cinnamon sugar. With no chilling required, you can make and bake these cookies within about 30 minutes. I love making cookies and biscuits. Many, like these, are quick and easy and you can be tucking into them within a short time making them perhaps the most instantly satisfying form of baking. I like making them so much I have written several books on making cookies and biscuits. My first cookie book, Best loved Cookies back in 2000 ( where does the time go?) was a novelty board book with just a few recipes, but it sold so well the publishers came back to me a few years later and asked me to write more recipes for a larger book. As the new book was to be sold in the US too, I had to research some classic American biscuits and include some recipes for those too. It was then that I first discovered Snickerdoodles and I have been making them regularly ever since. Snickerdoodles are very popular in the States and Canada but are still not that well know here in the UK. I really don’t understand why they are not more popular. They are simple to make and taste absolutely delicious.And I just love the name! So what is a snickerdoodle? Snickerdoodles are basically a vanilla cookie that is rolled in cinnamon sugar. I find this the perfect combination for my tastes. 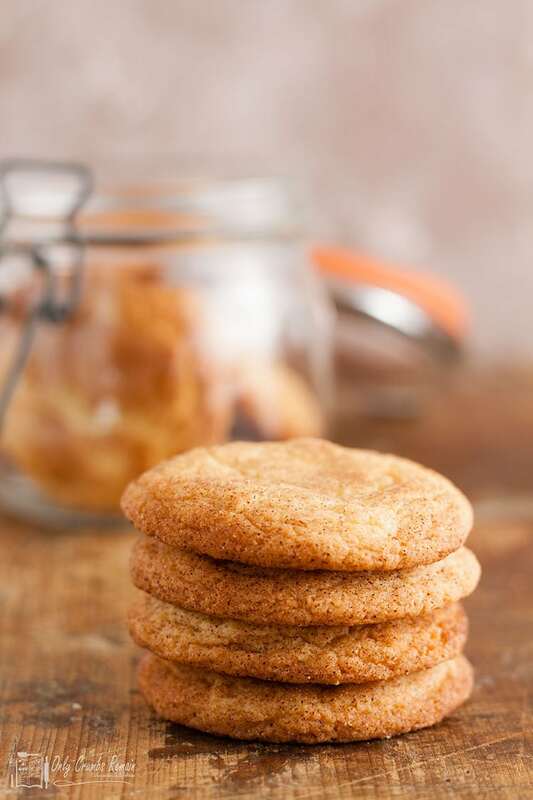 But you will find snickerdoodles with additional cinnamon in the biscuit itself, so if you want yours to be extra cinnamony then feel free to add 1/2–1 tsp of ground cinnamon with the flour. A classic Snickerdoodle is always made with cream of tartar and bicarbonate of soda. 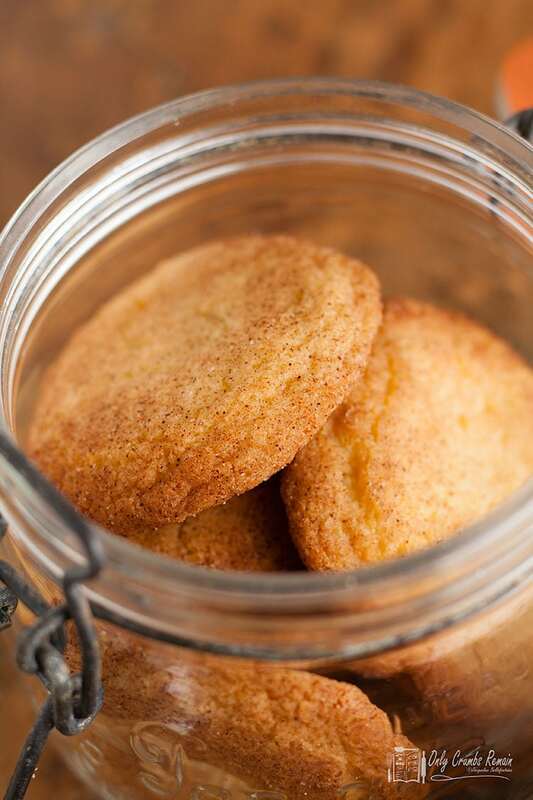 The cream of tartar gives the cookies a traditional tangy flavour. However, if you do not have any cream of tartar you can make them using baking powder instead (which is, in fact, a combination of the same ingredients albeit in different proportions). Use 2 tsp baking powder in place of the cream of tartar and bicarbonate of soda in the recipe. Purists, however, will not consider them to be proper Snickerdoodles but if you do, it’s hard to tell! I think in the US the general consensus is that they should be soft and chewy. To get the right consistency you will need to keep a close eye on the cooking time. Check after around 8 minutes. The outer edges should be pale golden and the center should still look pale and soft (it will firm up as it cools). If like me you like them slightly crisper then cook until they are pale golden all over but do take care not to overcook as they bake quickly and can go hard. The Snickerdoodles will spread during cooking. If the dough is too soft they will spread a bit too much and it will be harder to achieve a soft chewy biscuit. You can stop this happening by popping them in the fridge to chill a little before cooking. Making them here in the UK, I never find that necessary but if your kitchen is very hot or the butter was very soft before you started then I would recommend that you do chill them briefly. Add the vanilla extract and egg and beat well. Sift in the flour, cream of tartar and bicarbonate of soda. Combine sugar and cinnamon on a shallow bowl. Roll pieces of the dough into a ball. Roll the ball in the cinnamon sugar until well coated. Preheat the oven to 200℃ (180℃ fan)/400°F/gas mark 6. Lightly grease 2or 3 baking sheets. Beat the butter and sugar together until pale and fluffy. Add the egg and beat well. Then add the vanilla extract and beat to combine. Sieve the flour, cream of tartar and bicarbonate of soda into the mixing bowl and beat together until combined to form a soft dough. Make the cinnamon sugar by combining the sugar and cinnamon together in a shallow dish. Break off a piece of dough about the size of a walnut and roll into ball. Then roll the ball of dough in the cinnamon sugar until well coated and place on the baking sheet. Repeat until you have used all the dough to make about 30 cookies. Leave space between each ball for the dough to spread. Bake for about 8 to 10 minutes. Allow to stand on the baking sheet for a couple of minutes before transferring to a wire rack to cool completely. For a soft cookie cook until the edges are just golden and the center still pale. For a crisper cookie cook until just pale golden all over. In an airtight container for up to 1 week. 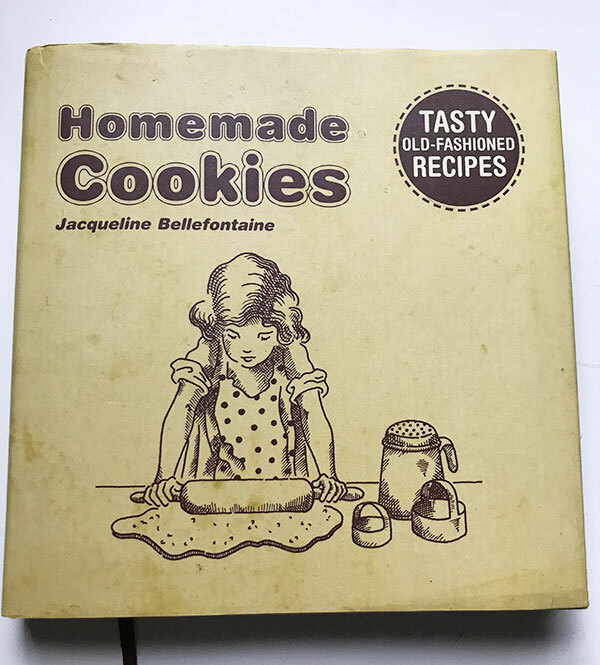 My Homemade Cookies cookbook is no longer in print,(altough you can still buy new and used copies on Amazon) but I have a spare copy to giveaway. Rafflecopter is a little piece of software that allows me to run a kind of raffle on Only Crumbs Remain. For your chance to WIN a signed copy of Homemade Cookie, enter for free. First, scroll down to the comments section after the post and leave a comment letting me know which cookie recipes you would like to see on Only Crumbs Remain. Then pop back up and fill in the little Rafflecopter widget below ticking to say that you have left a comment (it’s clever it can check). Don’t worry if your comment doesn’t appear immediately, it is waiting to be approved which is a way of avoiding the site getting a lot of spam comments. It’s really easy to use and there are bonus chances to get extra entries by doing things such as following me on Twitter or visiting my Facebook page. You do not have to do any of these extra things but it will give you more chances to win! Please note that the competition is open to entries from the UK only. This giveaway is free to enter. The competition is only open to those resident in the UK and can not be sent overseas. Entry is via the Rafflecopter widget only. The winner will be selected at random by the Rafflecopter widget. Once the prizes have been posted, Only Crumbs Remain cannot be held responsible for any loss or damage to the parcel during transit. The giveaway will close at midnight on 27th April. The randomly selected winner will be contacted by email within 48 hours of the giveaway closing and will have 7 days to respond, otherwise an alternative winner will be drawn. If you never want to miss a recipe or future giveaway, why not subscribe and receive an email every time there is a new post. Bake of the Week hosted alternately by Mummy Mishaps and Casa Costello. You have such lovely recipes. Would love to see some more of the really pretty cakes, like the upside down ones, as I was previously too nervous to tackle! Thank you Caroline I will certainly be sharing many more cake recipes here. Try not to be nervous about trying them as your baking will just get better and better the more you practise and its such a fun thing to do. Ekk I love old fashioned recipes I found a old brownies recipe book from the 50s in a charity shop I grabbed it and loved reading it! Yet to bake from it but I will! toffee apple fudge cakes or any hing with caramel! have you seen my chocolate and salted caramel tarts? They really are I dont think you will be dissapointed. I’d love to see white chcolate and blueberry! I love all American style cookies so more of those please. I’ve never tried these cookies but they look super appealing. I would also love to get my hands on your lovely book so entered the draw! One of my school friends mums used to make cheddar biscuits, they had a marble effect with Bovril in, they were amazing. Would love to see something similar. There are a lot of fabulous blogs that specialise in gluten free so i will not be do a lot but i will be doing some over time so watch this space. These look so nice. I never heard of snickerdoodles before, but I think they do sound delicious. something with banana and / or almonds would be to my liking! Now, thats the way to go! Almond Crunch Cookies, Maple Glazed Apple Crisp Cookies, Key Lime Pie Cookies and Chilli Chocolate Chip Cookies. well Jacqueline I never imagined that these cookies were so simple and only contain cinnamon and vanilla! I think , in my ind, I had them associated with Snickers so assumed they were nutty with some toffee flavour! Anyway, now I have seen your recipe I have to say I must give these a try, because they look so good and I like the flavours used. I know, so simple and so delicious do give them a try you wont regret it. 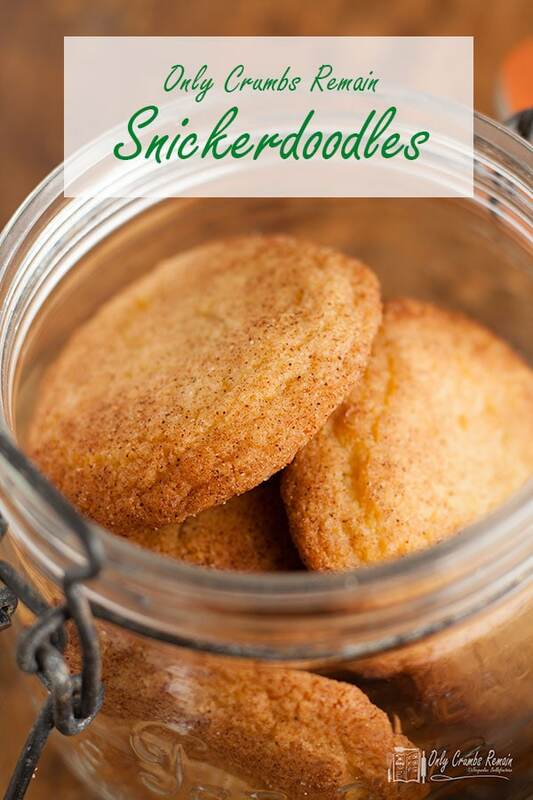 I’ve heard of snickerdoodles and always thought it was such a funny name! They sound SO delicious I really must try them! Chocolate hobnob or strawberry and white chocolate shortbread! I’d love to see a version of Oreos! Perhaps the golden ones? Either that or a good old chocolate bourbon! I am a huge cookie lover – these look amazing! Thank you for sharing, Jacqui. Ive not heard of those will have to look them up. I’m a bit of a cinnamon addict myself. which is why i like these so much that and the fact they are super easy to make. I’d love to see Oatmeal and Raisin with a twist 🙂 not sure what the twist would be, but I think it’d make it more interesting! I shall have to get my thinking cap on for that twist!